Law student? Writing a dissertation about the UK Parliament? If you’re a Law student and you’re working on a dissertation about any aspect of the UK Parliament, you may like to check out this link. 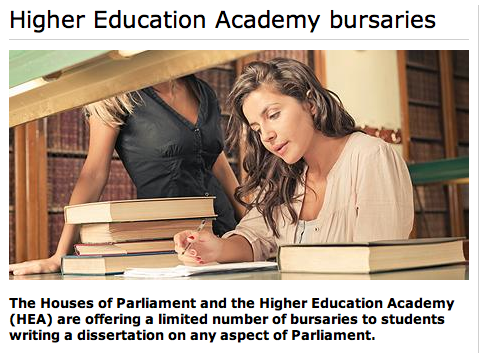 Parliament, in collaboration with the Higher Education Academy, is offering a limited number of bursaries to undergraduate and postgraduate students examining any aspect of Parliament, including the procedures, processes, business, members, administration or the Estate.